Calculated Age (Exhbitor Calculated Age) shows up as a date format instead of number in reports. 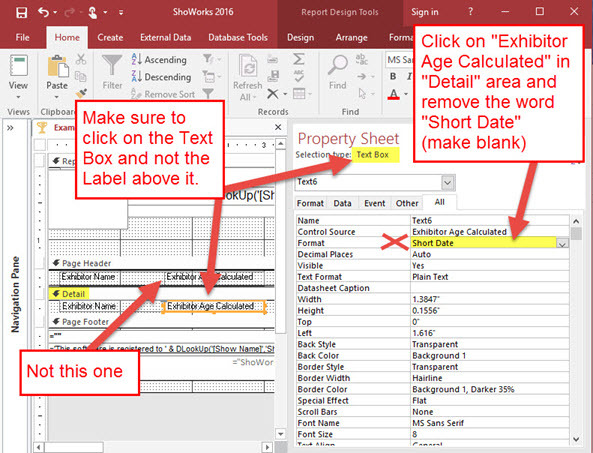 ShoWorks 2016 users need simply to download run the latest update and create a new or edit the report using the Report Wizard. See the updates here. 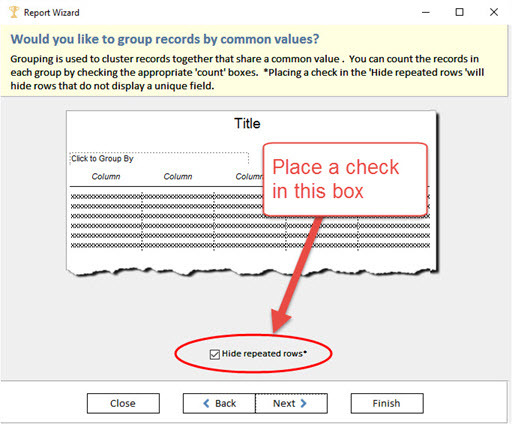 If the report was created with the ShoWorks Report Wizard, edit the report (open the report, then click "Edit w/ShoWorks") and go to the step (click 'Next') that looks like the image below an place a check in the box "Hide Repeated Rows", then click "Finish". Open the ShoWorks Access Companion. Highlight the report and click "Edit w/Access". 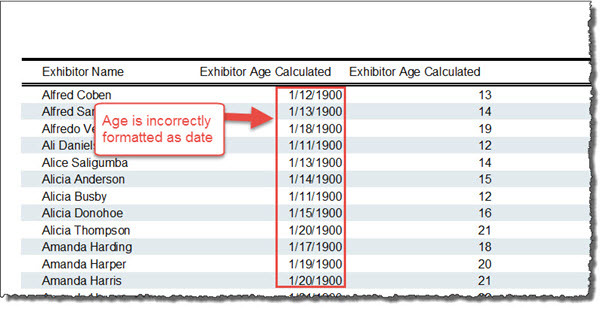 Click on the Text Box (not label) that contains "Exhibitor Age Calculated". Note, see the image below in that you should see the words "Text Box" in the highlighted area. The Text Box is usually below a similarly named label. Do not confuse the two. In the Properties window to the right (if not displayed, click the Properties button at the top right of the menubar), remove the word "Short Date" from the Format field.